This message was preached by Colin D'cruz at Word of Grace Church on Easter Morning, April 1st, 2018. To listen/download the audio please click here. The resurrection is the greatest event in history. Even the death of Jesus is viewed through the lens of his resurrection. So many scriptures speak about Jesus’ resurrection from the dead and that is what we are celebrating this morning. Q. 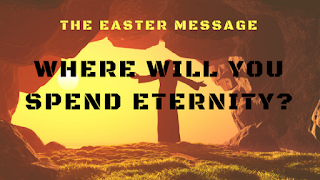 How important is the resurrection? It is the greatest event in History because it determines where you and I will be a 100 years from now. Look around you- do you know that we are eternal beings. We are going to live forever. Every human being will live forever- either in heaven or in hell. We will be glorified bodies. 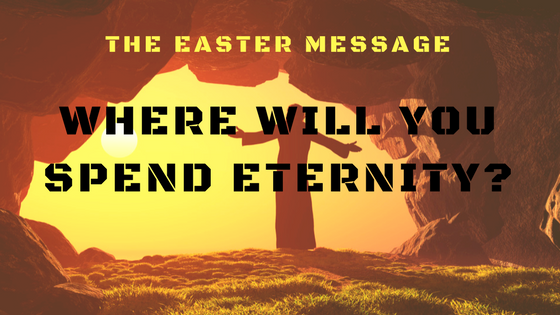 Our belief in the resurrection will determine where we spend eternity. On the Sabbath the Jews do no work. Everything is shut. Even pressing a button on the lift is considered work. So the lift automatically goes from floor to floor. It was very important. So, the Ladies left the tomb on Friday night and came back Sunday morning. There was a violent earthquake. This is the first supernatural thing happened. The angel rolled the stone back- it wasn’t for Jesus to get out, it was for the ladies to get in. We know that the angel was a powerful presence from God. The Roman guards were ferocious and strong and no one dared to mess with them. But they saw the angel and were terrified. They shook and fell to the ground. The angel’s first words were- do not be afraid. They went into the tomb and saw Jesus’ clothes lying there. The women must have been full of joy seeing and hearing what the angel had to say. So, they were afraid yet filled with joy. If we believe the resurrection, we will be filled with joy. Q. How do we know they were filled with joy? They ran to tell the disciples. These are older women, who were so filled with joy that they ran. In their great desire and joy to proclaim the resurrection of Jesus, they met him. When they met him, he just said, hi! When we see the resurrected Jesus, the only response is to worship him. Some people say that Jesus did not die, but if Jesus did not die, our sins are not taken away. Some say the disciples stole the body. Disciples were not brave men. A roman seal was placed on the tomb. Breaking a roman seal is punishable by death. All the disciples were martyred and till their dying day they said Jesus is alive. Jesus is raised from the dead. Q. What difference does it make to us that Jesus was raised from the dead? Our hope is that we will be placed in the earth like a seed and will be raised to life again. If there is anyone this morning who has not yet put their trust in Jesus, today is the day of salvation. Q. If you didn’t believe in Jesus, would your life be any different from what it is today? Our lives must be different. If you watch any of those action serials, there is a hero who goes through a lot of challenges. There is threat to his life every day. But if you are watching season 4, and there is season 5,6 and 7, you know he is not going to die right now. That should be our confidence. There is more to come, so we have no fear of death. It is not the end. We will be with Jesus forever and ever. In Jesus we have the hope of heaven- where there is no more death, sickness and pain. Because he lives, we also will live!